This one-day workshop is designed for participants to acquire self awareness and self regulation skills for more peaceful, fulfilling and effective living. The workshop involves minimal lectures and plenty of gentle movement (no need for athletic abilities! ), breathing, feeling (body awareness), sound, touch and helpful visualization. Full-day workshop with potluck lunch. The workshop takes place Monday, February 13, 2017, 10:00 AM - 4:00 PM in Kanata. For more details and information, visit orh.ca/event/guf-vanefesh or contact Tana at 613-862-6592. Offered by Temple Israel, open to OrH members. 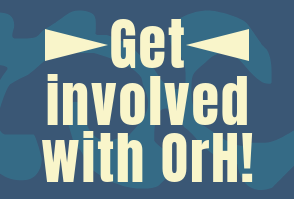 You’ve always wanted to lead part of a service at OrH, but don’t feel you know the steps. You love to sing along and think it would be fun to lead a few songs. Join in the most gentle of “Boot Camps” with Rabbi Liz, during and following Shabbat morning services on JANUARY 7 (Shabbat Limmud) and JANUARY 21 (Torah Service). On each date we will learn as we pray and sing, and then continue to learn more about the theory and practice of service leading after Kiddush lunch. There will be opportunities to lead services this winter and spring, but no commitment to leading is expected of participants. Email learning@orh.ca if you plan to attend. 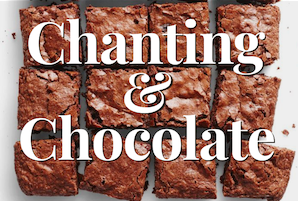 This fall Rabbi Liz will be offering a five-session Learning to Chant Torah Trope class for OrH members. Sessions will take place after services and lunch on October 22, October 29, November 12, November 26 and December 10. Anybody can learn trope. Reading knowledge of Hebrew with vowels is required. Knowledge of musical notation is useful but not required. 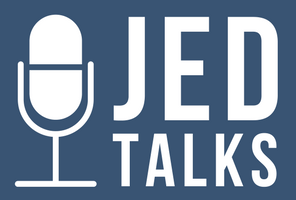 Check out the first session and see if you interested. Free to OrH members. 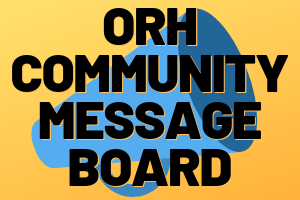 Any questions please speak to Rabbi Liz or contact learning@orh.ca. If you plan to attend, please send a note to learning@orh.ca. Open to all who want to explore, learn, grow and share a mindfulness experience with a Jewish perspective. Offered the second Thursday of each month, beginning September 2016 through June 2017, 7:15-9:15 pm, 30 Cleary Ave, Room 6, lower level. No RSVP or registration fees required. Come to one or all sessions. The Mindful Meditation Jewish Learning group is hosting an "unbookclub" for the 2016/17 (5776/77) cycle for the spiritually adventurous. The group will discuss three rich books on aspects of Jewish spiritual learning and practice. We will delve into ways our tradition guides us both as individuals and within community. Each session will invite participation through readings, structured exchange in small groups or dyads, and large group sharing. Attendees are encouraged to read the corresponding book prior to meeting to optimize the encounter’s opportunities. For more information visit the Mindfulness Meditiation Unbookclub page or contact mindfulness@orh.ca. This 15-week course is designed for those hoping to deepen their understanding of their Jewish heritage as well as for those exploring or considering Judaism. Participants will learn about Jewish values and practices through primary text study and seminar-style classes. Highly interactive, the course explores the major value concepts of Judaism, and offers a chance to wrestle with fundamental questions, foundational texts, and traditions, while learning and interacting with others. Bring an open mind, a copy of the Hebrew Bible/Tanakh (a JPS-Jewish Publication Society edition), and a binder for handouts and notes. The sessions will be held in Ottawa East near Main and Clegg. For precise location details please email learning@orh.ca. The course continues with a second 15-week session that can stand alone, or serve as a rounding-out of the concepts and practices for the serious student; to be offered Fall 2016. 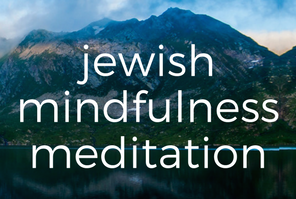 Open to all who want to explore, learn, grow and share a mindfulness experience with a Jewish perspective. No RSVP or registration fee required. Donation welcome. Come to one, some or all of the sessions. Click here for our online flyer. A study group exploring the Jewish writings of political theorist Hannah Arendt, with a focus on reading Eichmann in Jerusalem: A Report on the Banality of Evil, originally published in the New Yorker in 1961. Seven sessions; Sunday mornings; meeting monthly in members homes; starting late October 25, 2015; guided by ORH member Patti Lenard, University of Ottawa Graduate School of Public and International Affairs. Please contact learning@orh.ca if interested. Fall – Who Wrote the Bible? 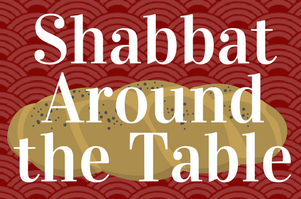 – Three sessions will take place on the 3rd Shabbat of the month from 1:00 - 2:30 pm on October 17, November 21 and December 19. These sessions are based on the book of the same name by Richard E. Friedman. Winter - Prayerbook Hebrew – Four sessions from 1:00 - 2:00 pm on January 16, February 6, February 20 and March 5. These sessions will build on each other but drop-ins are welcome too. Knowledge of the alphabet and how to pronounce words is needed (e.g. you need basic reading skills but understanding is not required) The intention is the learning and decoding of key words. Spring – Mapping the Siddur – Becoming a Service Maven - Five sessions from 1:00 - 2:00 pm on March 19, April 2, April 16, May 21 and June 4. 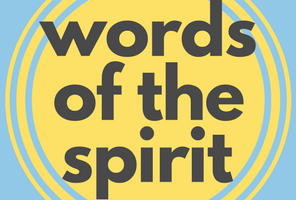 These sessions will help you learn the reason for what’s happening and why it’s happening in the service. Basically the how and why of what goes on. Beginning in October, Or Haneshamah will hold a seasonal series of rotating monthly events that include a film viewing, a Shira evening (music and singing) and a book discussion. These events will take place in a variety of locations including member homes. Saturday October 10, 7:30-10:00 pm – Movie – History of the World, Part I (Mel Brooks) Popcorn and herbal teas provided. Saturday, December 26, 4:00 pm – Book Discussion – Playlist Judaism: Making Choices for a Vital Future by Kerry Olitzky. "Every Jewish institution," writes Kerry Olitzky, "is undergoing significant change and is in danger of becoming irrelevant to the majority of North American Jews. All these institutions will have to reimagine themselves if they are to survive and grow."